Joinery options have increased to include new hardware, tool and machinery choices. The transition began when we tried to make those old joints on new machines, and it didn’t take long to figure out that there was a better way. Now, flat-packed casework can pop together with integral joinery that’s milled into the parts, or else it’s assembled with increasingly sophisticated hardware that, congruously, is becoming simpler with time. Yes, we’re still milling dovetailed drawers on CNCs, but the boxes have moved along. Take, for example, the evolution of the lowly wooden dowel. The engineers at Fastenlink (fastenlink.com) added a little shape to it and used plastic instead of wood. That transformed it into an entire snap-together system. One end goes in a hole in one cabinet part while the other slips into a ramped slot in an adjacent part. When one part is moved, they click together. It’s fast, easy, cheap and simple. 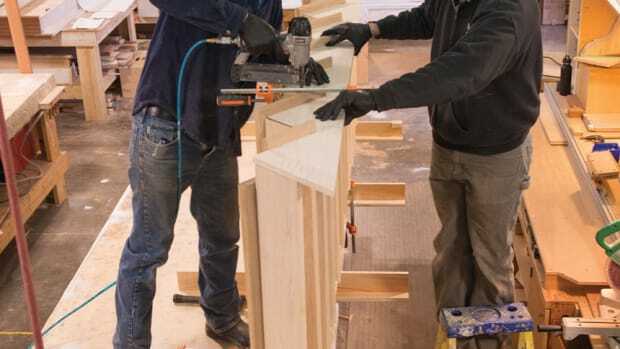 Plus, employees can assemble cabinets on the job in minutes. And milling the parts is easy on a CNC router with software from Cabinet Vision, Microvellum, WoodCAD/CAM or KCD, using a special router bit. Still talking about dowels, there’s the catamaran (two-hulled) version developed by Lockdowel (lockdowel.com) that looks like a pair of ribbed dowels connected in a U or H shape. The company recently joined with ShopBot to demonstrate the use of a Handibot portable CNC to drill holes for these tool-less fasteners. 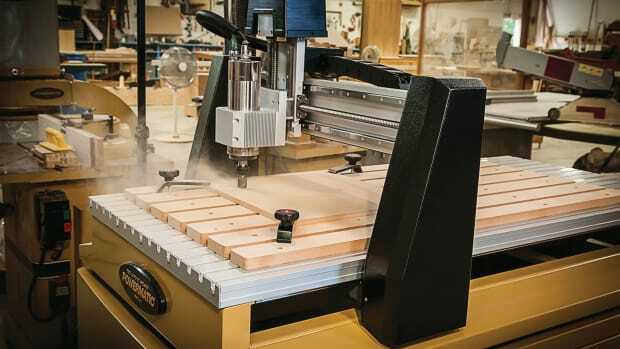 The demonstration was designed to show cabinetmakers how easy it is to build with the system, and how a small investment in desktop CNC could revolutionize the output of a one- or two-man shop. 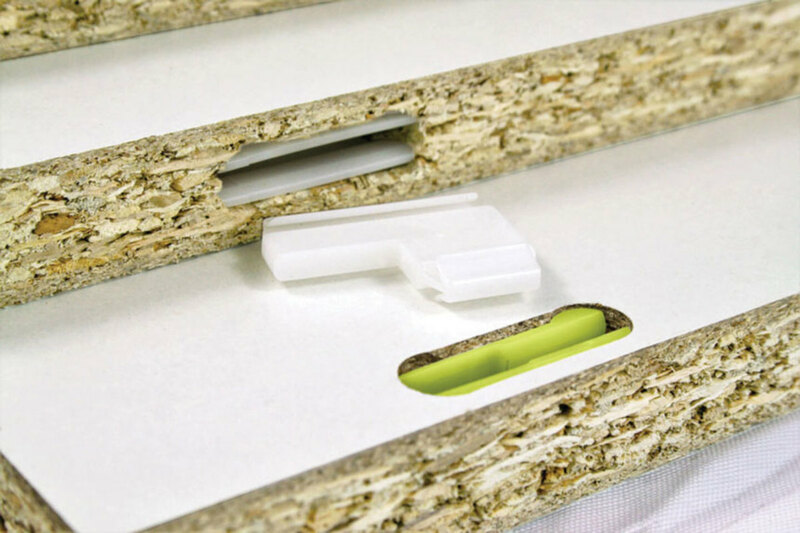 Lockdowel’s E-clips let a woodworker just snap casework together without screws or even glue. The industry is certainly taking note of these new generation dowel options. 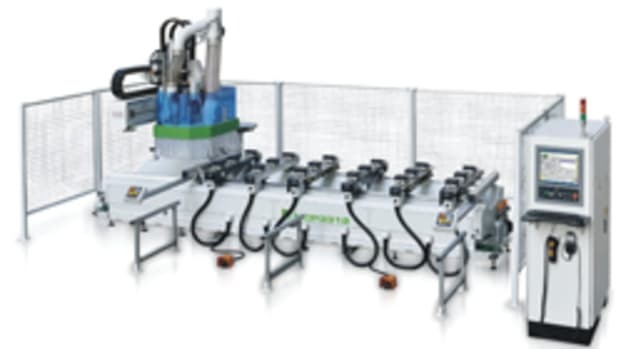 For example, CNC Factory (cncfactory.com) recently introduced a Lockdowel automatic inserter machine with four stations, which it calls the Scorpion LDR. Larger shops like the fact that the system eliminates the need for glue and reduces labor costs. The new machine has four working zones, automatic material loading, laser guided robotic measuring, advanced wireless barcode reading - and a single employee can run it. Laguna Tools (lagunatools.com) has also designed a new boring/inserting machine for Lockdowel fasteners. Known as the SmartShop LD4, it can team up with a SmartShop CNC router to create a complete fastening solution. The LD4 has four zones and two drilling units; one for 5mm and one for 8mm. Its two vibratory barrels have the ability to insert 30mm or 40mm spring pins and Locdowel E-clips, H-clips or channel locks. Lockdowel’s fasteners snap together for quick assembly. 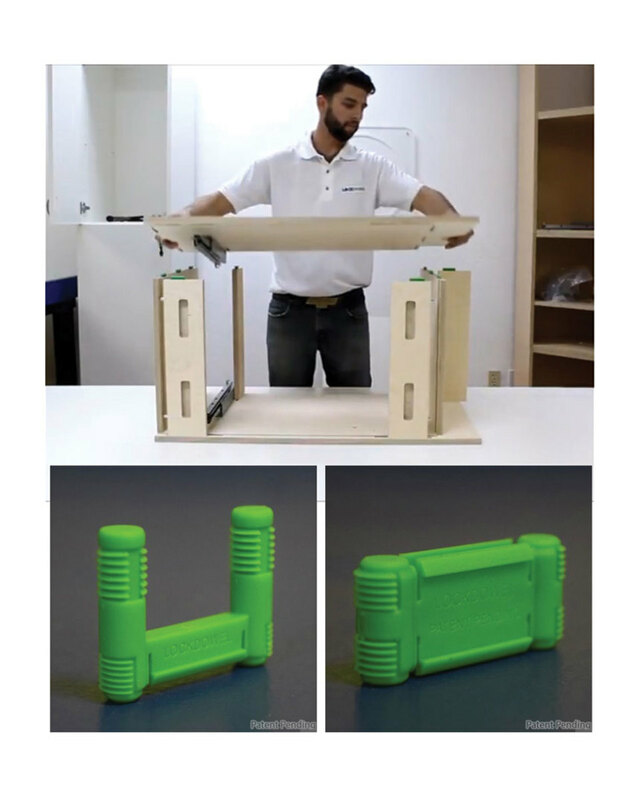 Häfele America Co. (hafele.com) has a new piece of hardware called the Ixconnect Spreading Connector SC 8/25 that also delivers tool, glue and clamp-free casework assembly. Just drill a couple of 8mm holes, pop the connectors in and as the parts are pushed together the connectors rachet, expand and then lock into place. Colonial Saw (csaw.com) announced the arrival of Lamello’s new Cabineo last summer. This is a one-piece, ready-to-assemble cabinet connector that was developed by Lamello AG in Switzerland, and it can be inserted in a surface routed recess on cabinet components in the shop or on the jobsite. When factory-installed, the parts are easily flat-packed for transport and the installer doesn’t need to remember to bring loose fittings along. Cabineo can be used with all kinds of CNC machines, including very simple 3-axis and nested-based machines, and the finished product can be popped in and secured in a few seconds using only a cordless drill. Optional decorative cover caps are available in a variety of colors. Lamello’s Invis Mx (left); Festool’s Connector (top, right), and Hafele’s Ixconnect. Lamello has also introduced a new version of the Classic X biscuit joiner, and this one can cut grooves for 15 different joining elements. It has a totally reworked base plate, where the swiveling front and stop square are now flush on both sides, so it can be positioned flush to the work’s outer edge. The angle and height scales have been upgraded, and the base plate is equipped with durable reference marks. A new multi-functional stop square, which is included in the kit, can be used for many functions. It can be placed on the bottom of the base plate to increase the application surface and stability during vertical cutting. 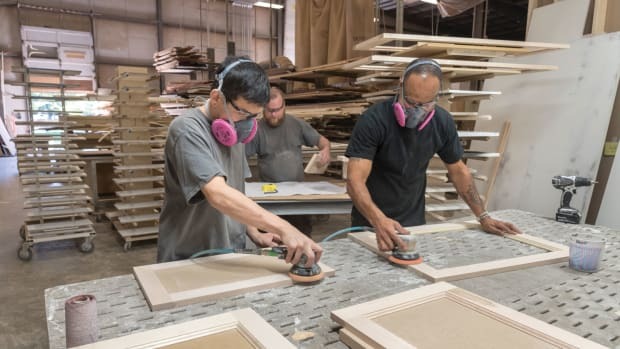 That makes it possible to mill miter joints in pieces of differing thicknesses, so they line up flush on the outer surface, which can be very handy in angled corner door and face frame construction. Additionally, the groove position can vary from 0 to 50mm, and the motor has been upped to 780 watts. And as if that wasn’t enough, Lamello has developed the Invis Mx, a hidden connection that it drawn together with a magnet. With no visible openings, Invis Mx can be quickly detached and reconnected at any time via its magnet drive. Both halves of the system, connectors and studs, are quickly and easily screwed into pre-drilled 12mm holes. A magnetic device called the MiniMag is then fixed to the cordless drill and rotated on the surface to close the connection. 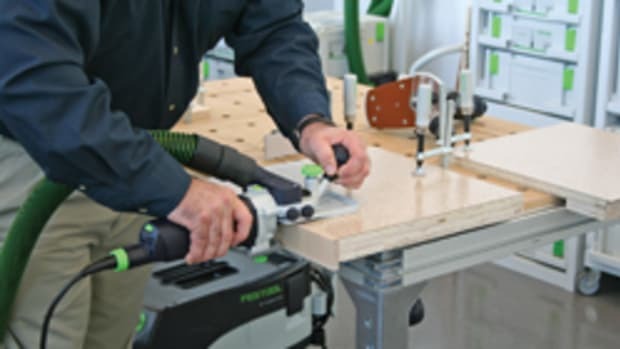 Festool (festoolusa.com) continues to grow its family of Domino joinery options with the introduction of a new Connector designed to make knock-down joinery simpler and also more stable. The Connectors’ large tightening distance and long bolts can simplify furniture or cabinet assembly, especially for a one-man project. And each Connector is quite forgiving: they will compensate for routing and cutting tolerances of up to 1.4 mm. Staying with European innovation, the Irish company Ovvo (ovvotech.com) is a leading manufacturer of invisible casework connectors. Ovvo’s joinery options are beginning to gain popularity in North America because of the clever engineering. The company recently introduced its new V-1230, a connector that is ideally suited to high-grade chipboard and is available in both permanent and knockdown (KD) versions. It has a deep profile that delivers impressive holding strength in chipboard, but it’s also compatible with high pressure laminated panels, composite material and solid wood. An innovative dovetail design delivers both shear and tensile strength, and there’s a solid central rib that increases joint rigidity. Designed for either manual or automatic insertion, the V-1230 is compatible with most CNC equipment and software. 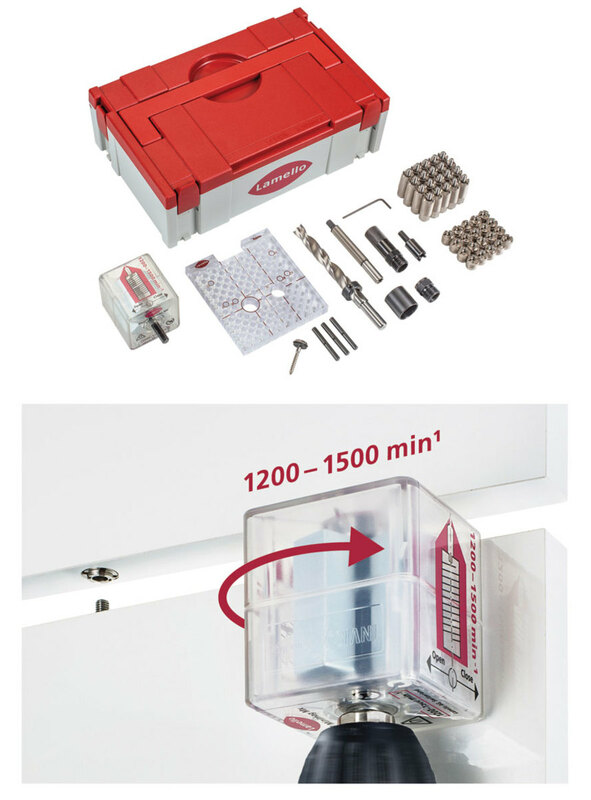 Pocket hole screws are still popular and Castle (castleusa.com) recently unveiled its new model 100 portable machine. 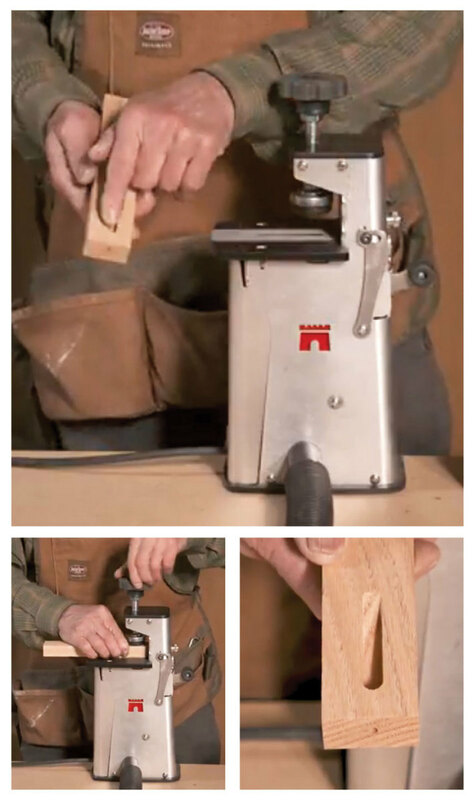 It allows a woodworker to bore a shallow 6-degree screw pocket, so that material thinner than 3/4” can be joined. At just 8 lbs., the machine has a built-in Bosch router that cuts the distinctive Castle pocket. 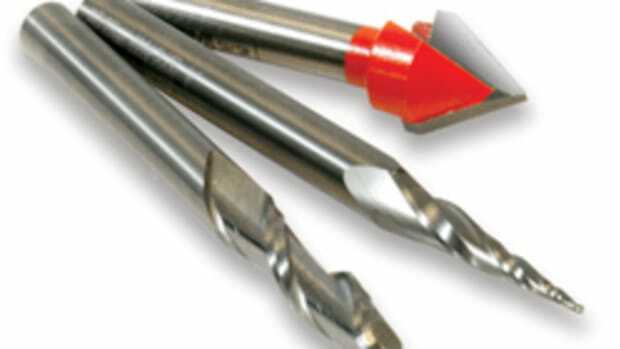 It’s narrower than other company’s tools can cut, which makes it attractive enough that some furniture builders are exposing the pockets in much the same way that one might expose dovetails or other fine joinery details. 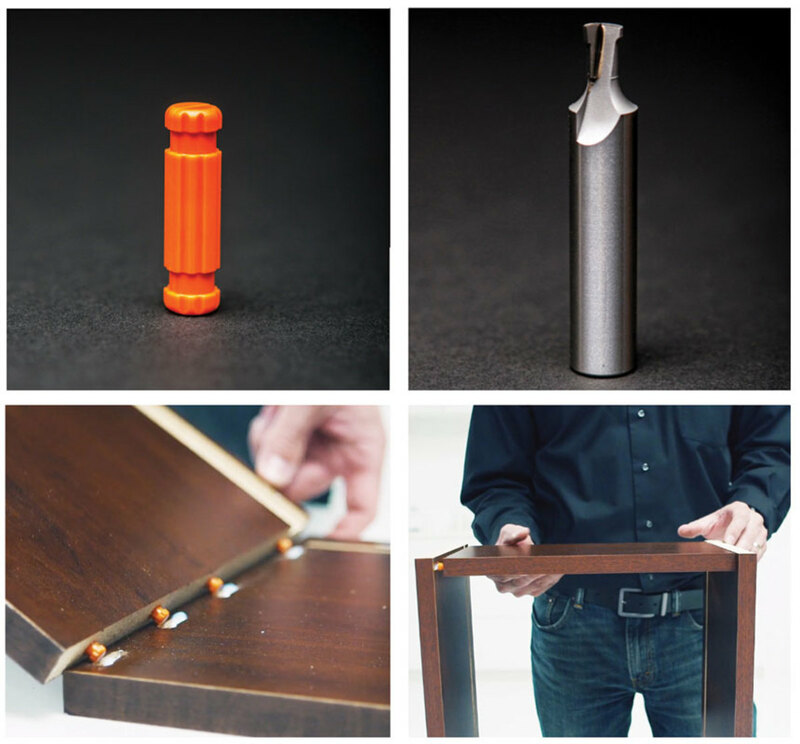 Not all joinery options depend on hardware, or even on cabinetmakers. Woodshops that outsource can order face frame boxes from Cabinotch (cabinotch.info) that use a patent pending interlocking joint to snap parts together. There’s no manufacturing to do, just assembly. Plus, the Cabinotch full library is now available to cabinet and furniture builders who design with KCD software. 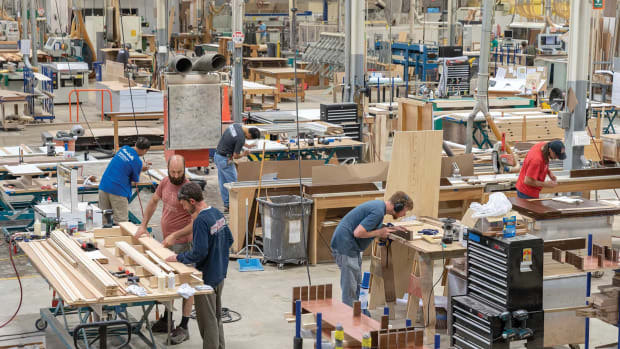 Cabinet shops have an increasing number of options to fabricate, assemble and install jobs. Over the years, the word ‘left’ has become somewhat synonymous with liberal politics. 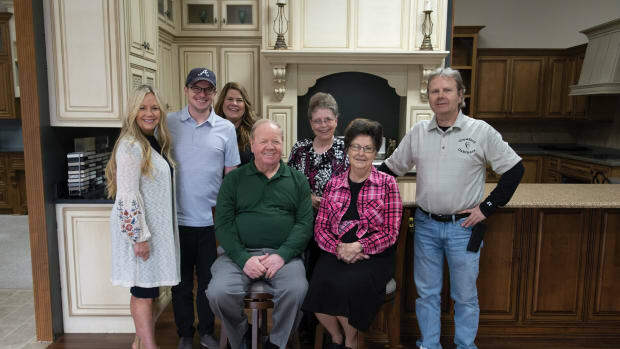 Harold and Sylvia Crawford weren’t daunted when their son, David, approached them about backing a cabinet shop in 1984. Physical size seems to be less of a consideration than budget, at least when smaller shops begin shopping for a CNC router. British writers first began using the term “joiner” in the 14th century to describe people who fixed wooden parts together. It wasn’t until 1678 that the word “joinery” emerged, but the practice itself dates to the ancient Egyptians.